Philippine Army Dragon Boat Team paddled home two gold medals in the 9th International Dragon Boat Federation Club Crews World Championships. The first gold medal was won Sept 5 for the 200 meters premier open event. Sept 7, paddlers took another gold medal for the 500 meters small boat event. The competition was held in Ravenna Italy, Sept 3 to Sept7.The prestigious event was participated by several countries. To name a few, they were Canada, Czech Republic, Estonia, France, Germany, Italy, Poland, Romania, Sweden, Switzerland and United States. 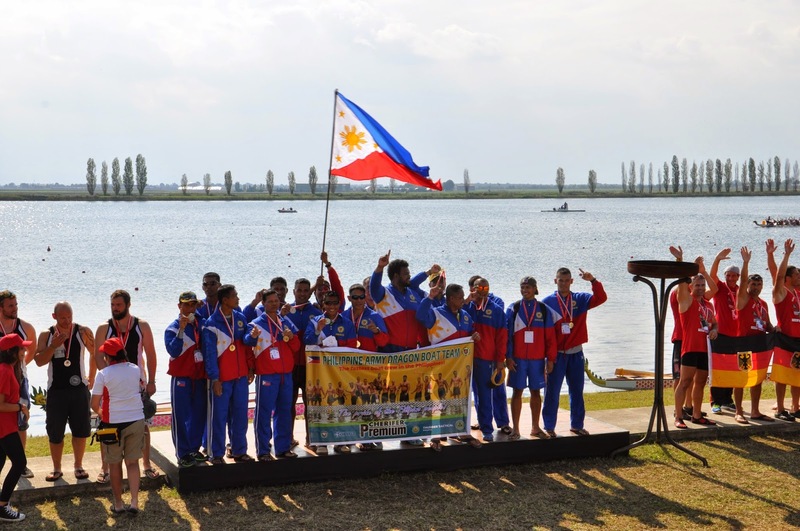 Before the competition in Ravenna Italy, Philippine Dragon Boat Team was an overall champion winning five gold medals in the IFC World Championship held in Poznan Poland, August 28 to 31. Added to the five gold medals were three silver medals and three bronze medals on different categories. Filipino paddlers outshone the much bigger challengers from countries like Australia, Canada, Germany, Israel, United States and many more. I do hope Philippine Dragon Boat Team will be noticed by some who would be willing to sponsor them on their next competition. 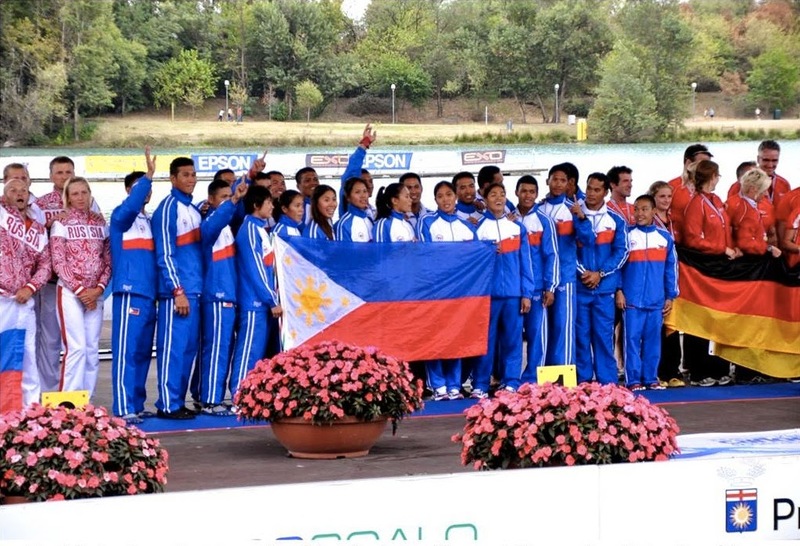 Compared to Gilas Pilipinas and Philippine Azkals, Philippine Dragon Boat Team managed to bag the prestigious medals despite their limited resources.